One dozen pressure packed Oxford tennis balls in a metal can with paper label. “Manufactured to conform with specifications for Championship and Tournament Play”. 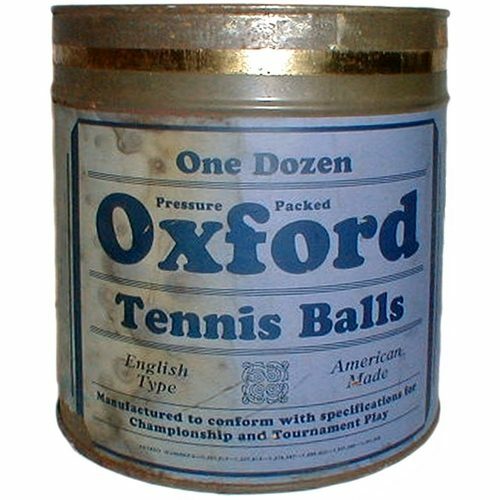 In 1935 these Oxford tennis balls had a retail price of $3.60 for the dozen and were distributed by Pennsylvania Rubber Company.